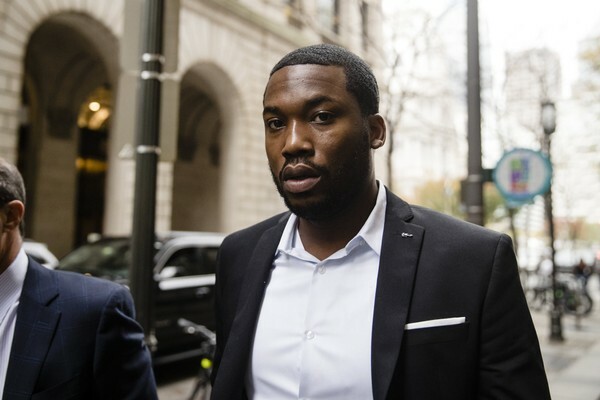 A “tainted” officers list compiled by the District Attorney, which comprised of cops with questionable records, features the officer who arrested the rapper Meek Mill. The rapper’s attorney will be seeking to get his client’s conviction overturned in light of this list. The rapper, who had a hit single “Ima Boss” and has continued his career despite being convicted, was found to be in violation of his probation, after being charged with possession of drugs and a gun. This resulted in him being sentenced to prison for a period of two-to-four years, a sentence that his lawyers are determined to get overturned and hope for a ruling in favor of their client. Debates had ensued over the fairness of the criminal justice system following the sentence. The rapper was arrested in 2007 for carrying a gun and drugs and testified against in court by Officer Reginald V. Graham, who was the cop who arrested him. According to report by a newspaper in Philadelphia, Graham’s name is present on a list secretly compiled by the Philadelphia’s District Attorney Office. It is alleged that the 24 officers present on that list have a history of racially discriminating, lying, abusing their power. The list, it is claimed by the newspaper, was intended for stopping the officers mentioned from testifying in court. Mill was 18 years old when he was arrested in 2007, and went on trial in 2008. According to Graham’s statement in court, Mill was seen, in the streets of Philadelphia, by police informants selling drugs, more specifically; cocaine. He had also tried to shoot at them using an unregistered and illegal gun. The rapper had denied both of these claims, saying that he was with his cousin in court, during the time the police claimed that he was selling cocaine. The rapper was eventually convicted and sentenced, for charges of assault, possession of drugs and an illegal firearm. He served five months in jail after Graham’s testimony in court. The legal team of the rapper are set to challenge the original conviction and fully believe they have enough evidence for it to be declared false. The emergence of the list is said to combat the testimony of Graham, whose statement was largely responsible for the rapper’s sentence. Joe Tacopina, Mill’s attorney, said he and others knew that the information provided by Graham was false, and that the emergence of this list was unsettling but not surprising. He also mentioned that Graham was the sole officer to testify against his client and that the officer’s statement under oath, he hopes, will be proven as false. Apart from that, Judge Genece Brinkley has been accused of being biased by the rapper’s legal team. They claim that the reason she sentenced their client to prison, was the rapper’s denial to mention her in one of his future songs. Mill’s refusal to sign with Charlie Mack, a famous Philadelphia music personality, in favor of the Roc Nation firm of JAY-Z, was also part of the reason behind the judge’s biased ruling, they said in a statement.